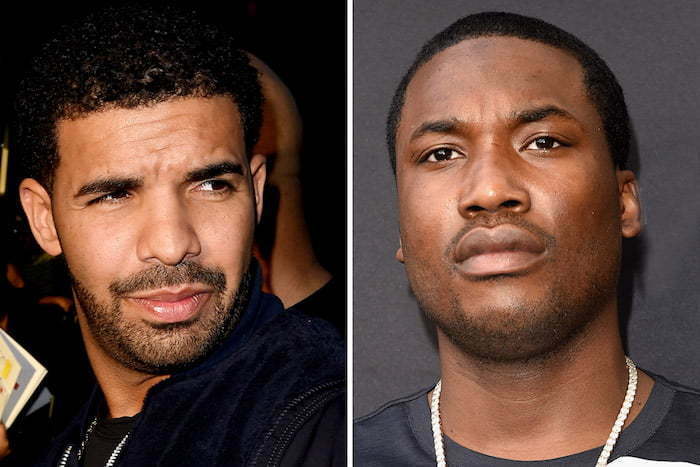 Meek Mill is still previewing new music from his upcoming project DC5 that are possible Drake diss tracks. The Philly emcee has been posting snippets from his latest recordings on Instagram for the last few months. He has been rumored to be getting ready to release his new album DC4.5 or DC5 whichever he chooses to name it. Some of his fans seem to be losing their patients and want him to just release the project or the songs. “All we getting is snippets, just drop the songs already man,” one fan wrote. The seriousness of his new recordings is evident in the share number of song snippets he posted on his Instagram since last weekend. “U scared of violence so you gotta cut da check. Coming soon… listen on da gram for now,” he wrote in the caption of one of the videos. “When the beat drop say AMEN!!!!! I’ve been on some sh*t patch….. new sh*t on the way,” he added on another snippet. There is still no clear release date or an official title, but he did confirm that it’s coming soon. Meek Mill, I know you’re checking the comments to see what your fans are saying so just drop the new music already and get it out there. There were also some chatters that Meek Mill would be dropping DC4.5 the same day that Drake releases More Life. Well that date come and gone and still no new music from Meek.